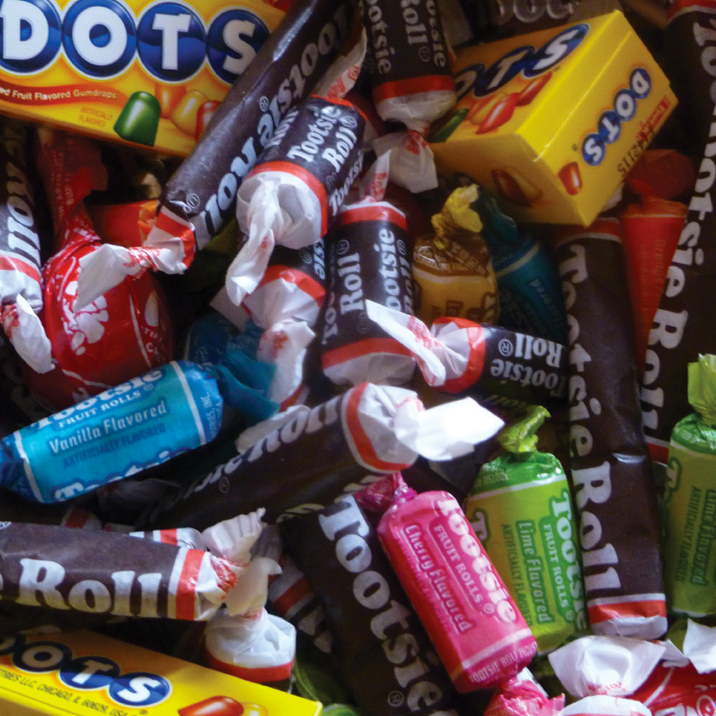 Halloween is both a blessing and a curse for committed candy lovers. So much candy! But also so little time between eating Reese’s and gummy bears and visiting the dentist. How about skipping the costumes* and sugar-fest this year and adult-ifying your treats? Instead of hard candy this year, choose these boozy tricks. *We’re just kidding about the costumes. Keep those. Always digging through the candy pail for one of these long, cherry-flavored candies? Replace that Twizzler (or Red Vine!) with a Cherry Bulldog and you’ll get more than a sugar buzz. Bing cherries, star anise, gin and port would be even better sipped through one of those sweet straws. Get the recipe. There’s nothing better than finding a bright orange wrapper filled with a delectable peanut butter–chocolate treat. But it’s even better when it comes in a miniature glass. As bite-size as its candy-coated equal, the Chocomole combines a Mexican chocolate mixture that uses peanut butter, as well as chile powder and tequila. Olé to the adult peanut-butter cup! Get the recipe. Rye whiskey, Pedro Ximénez sherry and chocolate bitters spell sophisticated indulgence—even if you have one of the classic mini chocolate logs on the side. Get the recipe. If you melted a Sugar Daddy, you’d come pretty close to this caramel-laden take on the traditional Hot Buttered Rum. The difference is an added layer of complexity, not only from the rum, but also from the cinnamon, cloves, nutmeg and honey. Oh, and go ahead and schedule your next dentist appointment now. Get the recipe. Ditch the faux watermelon-flavored sugar for something less gooey, but infinitely more delicious. That’s right: Get excited for a grown up trifecta of flavor that includes watermelon, ginger and basil. Each gives life to a measure of vodka and lime juice. The best part? It’s not neon green. Get the recipe.